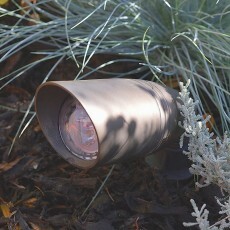 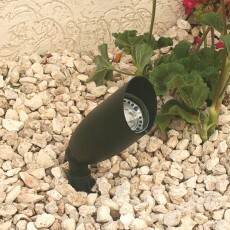 Elipta 12v Compact spike spots feature a longer body to shield the lamp from view and help accommodate the latest higher power COB LED lamps.Constructed from 316 stainless steel, natural copper and aluminium powder-coated in black, dark green or rustic brown. 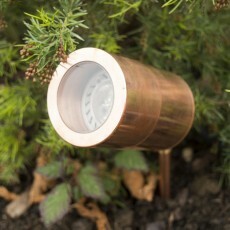 Wide choice of lamps and accessories, purchase separately. 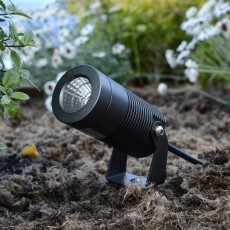 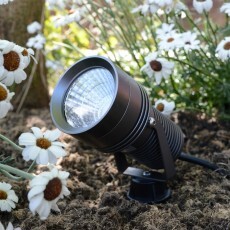 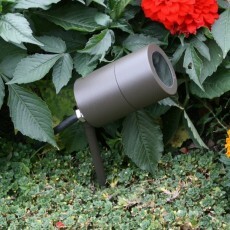 Elipta 12v Corona is an aluminium garden spotlight available in 3 anodised finishes; Black, Titanium metallic and a beautiful Mahogany – a lustrous finish reminiscent of burnished copper. 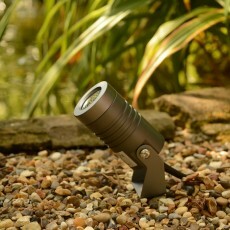 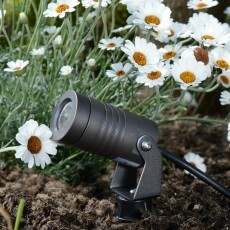 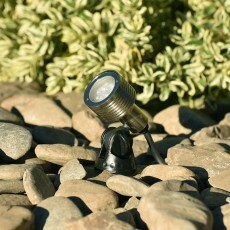 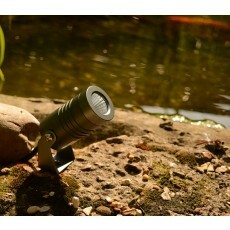 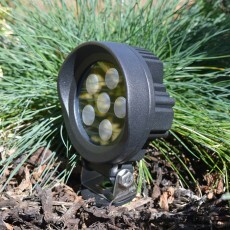 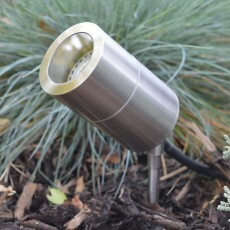 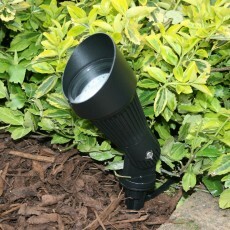 Elipta Compact Spike Spotlight low voltage adjustable 12v IP65 LED uplight.